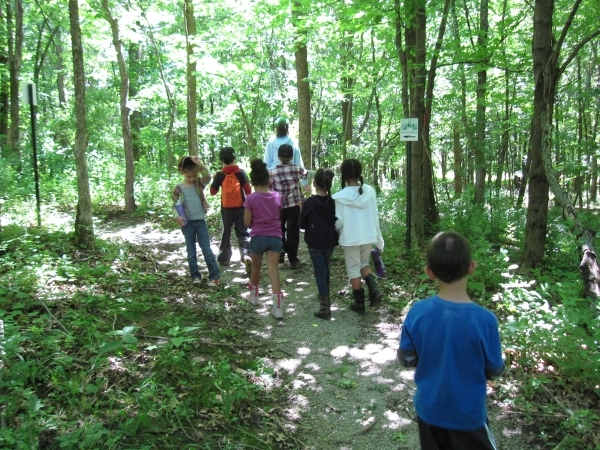 Park Forest, IL-(ENEWSPF)- Children ages 6 to 12 are invited to the Creek Walk for Kids, to be held at Thorn Creek Nature Center on Sunday, August 12. Between 1:00 p.m. and 3:00 p.m., children will be able to walk the creek, make observations, and take measurements to learn about water, creek flow, and how animals and plants use the creek. Young people should be prepared to get muddy. Organizers recommend wearing boots and long pants, bringing along a water bottle, some sunblock, and insect repellant. Participants should be able to walk approximately 1 mile outdoors on natural surface trails across the uneven and possibly wet and/or muddy terrain, organizers say. Registration is required by Friday, August 10. Children younger than 6 years must be accompanied by an adult. This program for children is sponsored by Thorn Creek Audubon Society.